I am sorry that my Mormon readers have put all their eggs in one basket by constantly writing to me quoting Matthew 7:16. So I am sorry that I must now apply that verse to the very first Mormon. I am sorry that among the 33 well-documented plural wives of Joseph Smith, there were close to a dozen unions in which the wife was already married to another man. I am sorry that in his lifetime, Joseph Smith married four different pairs of sisters. I am sorry that Joseph Smith married a young woman and also married her mother. I am sorry that some of Joseph Smith's marriages were the result of religious coercion secured only after he told the prospective bride that marrying him would ensure the bride’s place in heaven. I am sorry that Smith also coerced teenagers into marrying him by promising their families a place in heaven. I am sorry that Joseph Smith kept fourteen-year-old Helen Mar Kimball from marrying her sweetheart Horace Whitney because he wanted to marry the teenager instead. I am sorry that Joseph Smith also asked Helen’s father Heber C. Kimball to give him his wife. I am sorry that before he eventually married Helen, Joseph Smith gave her a 24-hour deadline to give in to his offer of a place in heaven. I am sorry that two years after the death of Joseph Smith, Helen married her old sweetheart Horace Whitney. I am sorry that the marriage between Helen and Horace was only temporary because Helen was already "sealed" by marriage to Joseph Smith for eternity. I am sorry that Horace Whitney was "sealed" to an already dead Mormon woman before his “temporary” marriage to Helen. 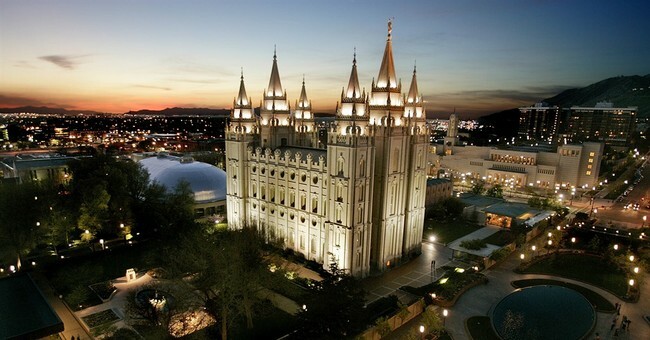 I am sorry that the Book of Mormon, which Joseph Smith claims to have transcribed from the golden plates given to him by the Angel Moroni, says the following: “Behold, David and Solomon truly had many wives and concubines, which thing was abominable before me, Saith the Lord.” (Jacob 2:24). Finally, I am sorry that my Mormon readers have unfairly accused me of criticizing Mormonism without doing my homework. But I am glad I did. Now I understand the significance of Galatians 1:6-9.